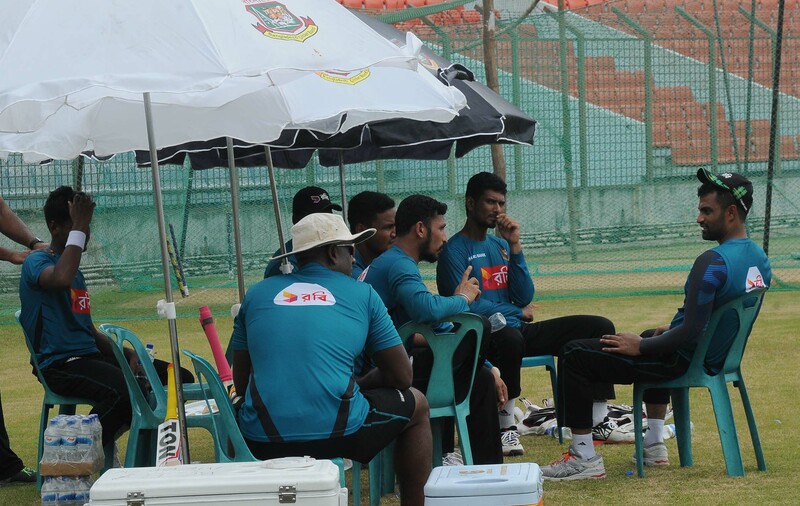 Bowlers shone in the rain affected first day of practice match between Bangladesh Red Team and Bangladesh Green Team at Zahur Ahmed Chowdhury Stadium, Chittagong. 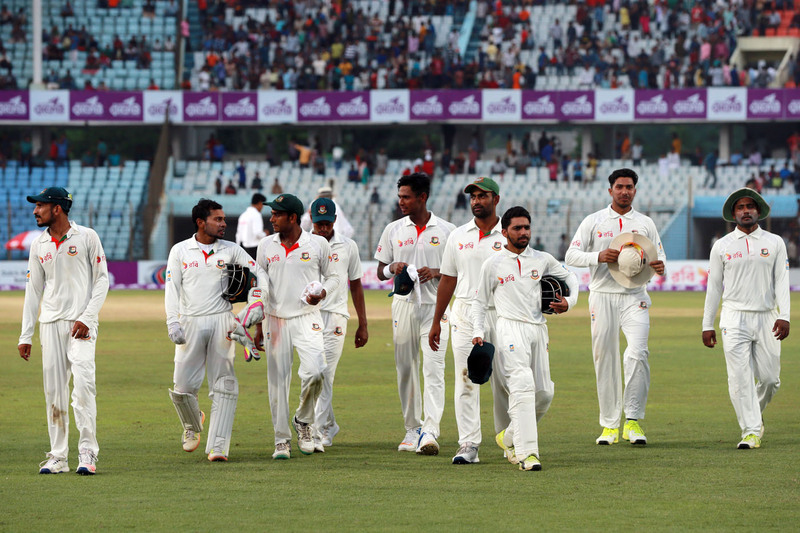 Batting first Mushfiqur Rahim’s Bangladesh Green declared their first innings on 140 for 9. Nazmul Hossain scored highest 53 for them. With the ball, Shafiul Islam grabbed 5 wickets for 17. Mustafizur Rahman, Sanzamul Islam, Taskin Ahmed and Sanjit Shaha picked up 1 wicket each. In reply Tamim Iqbal’s Bangladesh Green ended the day with 49 for 1 in 17 overs. Tamim remained not out on 23 and Mominul Haque was unbeaten on 19. Liton Kumar departed after scoring 5. Rubel Hossain got 1 wicket for 15.